Owning your own business is complicated. It can be overwhelming, daunting, exhilarating and incredibly satisfying. I speak from experience, having founded my own digital marketing firm, Proof Digital, just over three years ago. Getting a new business off the ground wasn’t going to be easy. I wanted to hire the best team of professionals I could find, no matter where they were located. I needed a project management tool that not only worked well, but fostered collaboration, increased productivity, and was easy to use for all types of work styles. Today, I am proud to be a successful business owner who is thriving and growing in an exciting industry. And while it still isn’t easy, I have a vibrant team that creates amazing products and services. Even better, we have found a project management tool that not only meets my expectations but has exceeded them. But that part didn’t happen overnight … in fact, it took me awhile. Like thousands of companies needing an innovative way to manage projects, I first turned to Basecamp to help us stay on top of assignments, projects and schedules. But after a year, I knew it was time to start shopping for a better solution. Now don’t get me wrong – I’m a big fan of entrepreneurial companies like Basecamp. They like to do things a little differently and shake things up a bit. In fact, their team has often inspired our team to “rework” our creative and strategic approach. But we were having problems with lost files and project tasks, which meant assignments were being overlooked and often not getting done on time. There was a lack of accountability and structure. In addition, some of our most valuable applications and tools that we already used didn’t integrate well with Basecamp. I soon realized that while I appreciated all it had to offer, we were going to need more than your typical project management tool. And that’s when I started shopping around. Before I could settle on a new project management platform, I first had to determine what features my team needed. Once I defined what our team required in a project management platform, it didn’t take long to narrow down the field. Redbooth stood out for its flexibility, ease-of-use, and overall performance. It offered everything that I was looking for, and then some. Its capabilities were impressive, to say the least. Before we committed to a completely new platform, we obviously wanted to test the waters with Redbooth (then known as Teambox). As our company continued to grow, it was important to make sure that our team members were supportive of the transition. By integrating Google Drive, Dropbox and Box, our files are now centralized and nothing gets lost. The switch to Redbooth has been vital in keeping the most relevant documents attached to each task, while also automating the file sharing system. With Google extensions my team can save emails as tasks, which reduces the amount of messages that used to get lost in the email black hole. This helps keep everyone accountable and on top of all their tasks, and literally saves hours of wasted time tracking down the most current documents. Evernote, Redline and many others are also great tools that help my team collaborate in new and innovate ways with each other and our clients. With clients all over the world – and virtual members working from various locations – we needed a reliable HD video conferencing tool. In just seconds, we can have an HD video conference meeting up and in progress. 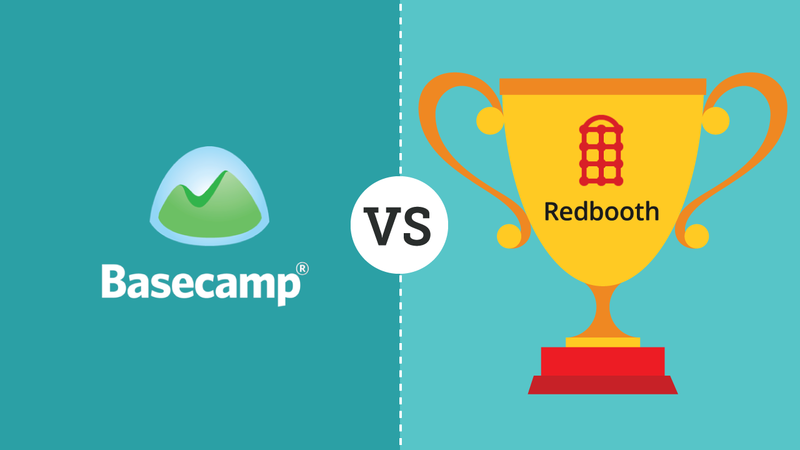 Compared to Basecamp, the Redbooth platform is by far more intuitive and user-friendly. This made it easier for me to get buy-in from my team to use this vital tool for our business. In addition, it transfers and stores data and other information securely, which makes me sleep better at night. One of the best features of Redbooth is that every chat, conversation, document, task, file and note is right there, easily accessible in one location. The amount of time saved on this aspect alone is beyond measure. Other benefits? My team saves time formerly spent tracking down information. Because each task and project is well-documented, we can evaluate our progress, what we do well, and where we are experiencing bottlenecks or facing obstacles. This allows for continuous improvement. Our ability to react to change and improve our processes has improved in rapid time. The level of knowledge, skills and development has increased immeasurably. The search function also makes it easy to find critical information quickly, no matter how old or new. Without a doubt, Redbooth has helped my company grow. My team is more productive, and we collaborate in ways that simply weren’t possible before. Redbooth is a vital piece to Proof Digital – a central tool that allows us to flourish and compete in an ever changing industry. What challenges do you face in your business or industry, when it comes to sharing files and information? Do your team members and clients collaborate productively and effectively with your current project management tool? Tell us about your experiences, and include any suggestions you might have for us at Redbooth. Stacie has 20-years experience in bringing people together to create opportunities, innovate and grow businesses via the web. She is now President of Proof Digital, LLC, an online marketing firm. Over the years she has demonstrated her ongoing passion of leveraging the web to make magic happen. Stacie has launched internship matching systems, virtual schools, multiple online businesses, and assisted hundreds of start-up companies find their market, gather competitive intelligence and develop marketing strategies via the web. She loves playing with her two kids, an occasional game of golf with her husband Drew, traveling, reading and advocating for education reform.